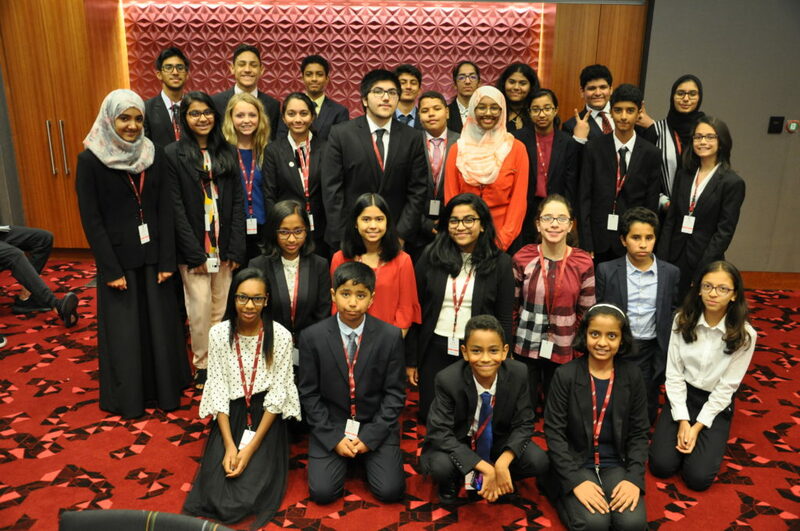 Middle School MUN-Q is a conference held annually for all middle school students in the spring. For the past year, the THIMUN-Q office has been working towards making the conference bigger than ever by connecting even more with the young students. MSMUN-Q 2019 will hold committees centered around 12 Sustainable Development Goals (SDG). Selected high school students have been given the position of president of their chosen SDG and been given the opportunity alongside their co-presidents to create their own project based around said SDG. This allows the middle school students to engage further into the conference while they reach out to the community and make a change. In addition to that, with the research reports written by all the student officers, the THIMUN-Q office introduced multimedia reports connecting with the young audience of the conference and, giving them a visual insight to each issue at hand. Not only does this connect to the young delegates as a more technological approach but allows each student to pick their learning material at hand as there are many students who learn visually rather than by reading.